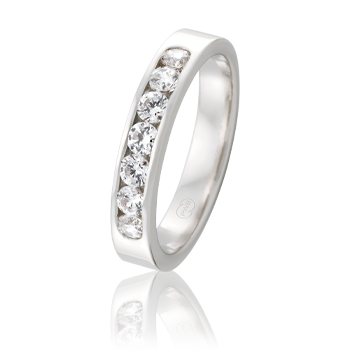 One of the more popular and modern setting types used in eternity and wedding ring designs. Channel setting allows the use of a variety of diamonds; from brilliant and princess cut, to baguette and emerald cut stones. The diamonds are placed in a metal channel, side by side, and are secured by hammering the upper sides of the channel walls to ensure the diamonds are held tightly. 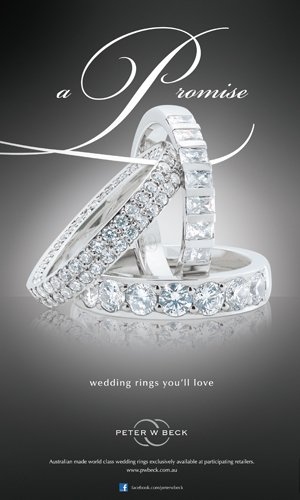 Diamonds in your Wedding Ring? Today, people place much emphasis on diamonds – the bigger and more the better! 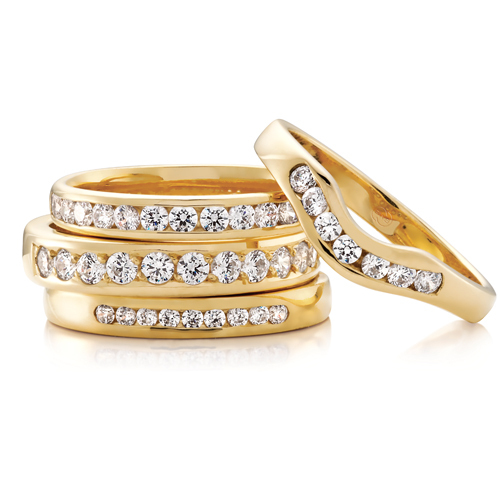 Although many couples are still choosing traditional plain wedding bands, we have certainly seen an increasing trend in diamond encrusted wedding rings. When it comes to choosing a wedding ring there are many more considerations that come into play, not just whether or not you have diamonds. What is important is that you choose a ring that is suitable for your lifestyle and reflects your personality, but that is also comfortable to wear and fits within your budget.